It's no secret that many Judoka are now cross training in BJJ in recent years to improve their newaza game. However, when it comes time for actual application, most judoka fail to apply triangle chokes from guard under randori/competition situations since Judo rules force a generally faster, less controlled style of Sankaku to be used. Remember, you are in Judo to learn Judo - tackling a Judo competition from a Jiu Jitsu perspective is a surefire way of stopping yourself from progressing in Judo. 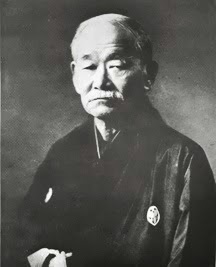 However, a functional newaza game is arguably an important part of understanding traditional (historical) judo, and nowadays, a necessity for modern competition. It is impossible to cover every possible variation of triangle and what can happen, so I will break down how to best minimize the opportunity cost in training time as well as literal energy needed to have a functional triangle game for Judo by summarizing 4 common failure points. Ignoring the Jiu Jitsu arguments about how inherently powerful the closed guard is, within Judo rules, the closed guard is not an advantageous position. From instant stand ups, ease of stalling, and generally being 1-2 steps away from getting Osaekomi'd combined with the added risk of the latter when attempting the technique, one could argue from the get go that if you can avoid being in guard to begin with, avoid doing so. Since "don't bother" isn't a real answer, you need to identify what situations going for the triangle is appropriate. Ideal example: If you can manage to land on your side post-Yuko level Ouchi, Kosoto where the tori does not have upper body control and you have 1 sleeve of connection. For both this and above example, the technique is most useful when you and the opponent end up at about the range in the picture below (note the sleeve control, foot on hip, and right foot on the inside of the shoulder). Also note that the descriptions read "scramble," as having a muscle-memory set plan under these conditions gives this technique its teeth in the midst of the chaos - In perfect position to shoot your legs into position and clamp the triangle on, less likely for the ref to call for stalling. You might think "Kuzushi? There's no balance issues here, it's a choke!" Nope! For the triangle choke in particular, it's not just a step-by-step set of leverage movements as most judoka think of jiu jitsu techniques. Without off balancing, you are at a huge risk of either a stack or lift. Due to an inability to finish the triangle and while opponents stall out the choke, a lot of people get frustrated and eventually give up on the triangle choke. Going through all the effort of getting the choke in place only to get stood back up leaves you spending TONS OF ENERGY both physically and mentally. This can be fixed with learning a couple of leverage tricks combined with improving your finishing squeeze (eg: If you just try to squeeze your knees together, this is the section for you). Finally, this last one takes into account that you need to understand that most of your Triangles will fail, and without a fallback/follow up plan, your failed attempts will inevitably lead to losing any faith that the triangle is a viable technique, because you keep getting passed and eventually pinned down. The natural follow up to a failed triangle, the positioning requires only minor adjustments, and is arguably the easier and quicker technique to finish. Upon failure of both triangle and armbar, a practiced guard recovery will prevent the pass, and allow you to stall into a stand-up to prevent further massive expenditure of energy. Sweeps requires a practiced understanding of shifts in Center of Gravity and a good sense of timing, so are not suggested as the primary go to. However, once this understanding is achieved, sweeps will lead your newaza game to a whole new level. In case you forgot, we're talking about Judo! Turtling, combined with a little explosive movement when opening up your failed triangle (foot to hip, shrimp up, toss over-the-head leg towards the ground as you face towards it as well), is an effective stall out. Appropriately enough, there are a wealth of techniques that allow you to roll back into a triangle from the turtle for those last-ditch submission attempts with 15 seconds left on the clock. It helps to think about Chokes and Armbars the same way. It's not that the guard/triangle doesn't work it's that one must learn how to pick the battles where they are most useful. Triangles done improperly are a MASSIVE drain on your energy reserves, and without taking this into account, and without having the right follow up techniques in mind, will leave you at an extreme disadvantage in competition. On the other hand. done correctly, triangles will open you up to potential victories while at a disadvantage, and are one of the most useful submission toolsets to have in your arsenal.